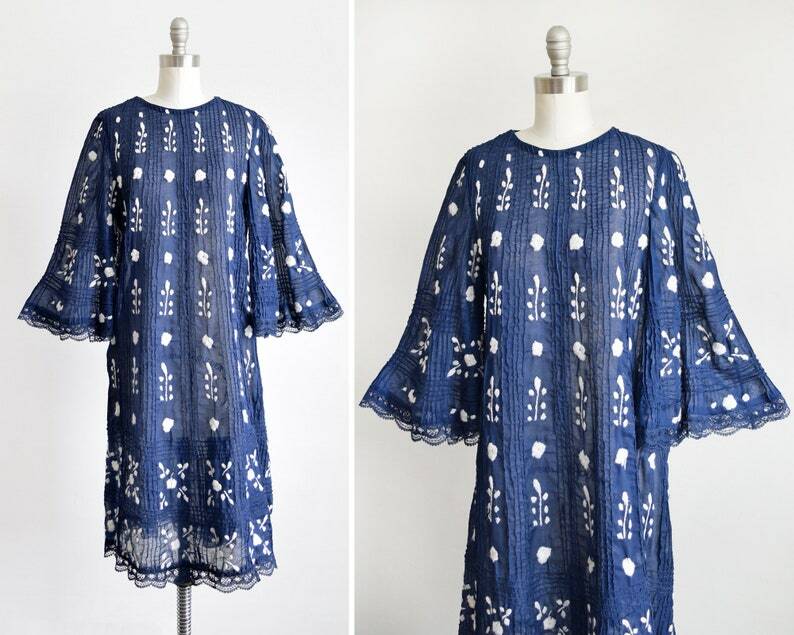 Fantastic vintage 70s navy embroidered dress. Gauzy cotton with white embroidered floral motif and rows of pin tuck pleats down the dress and across the sleeves. Bell sleeves with scallop lace trim. Matching scallop lace trim on the hem. The material is semi sheer and lightweight. Metal zipper with hook closure on the back. The white embroidery is a little fuzzy. I believe the dress is handmade and was found with a matching scarf or sash. The scarf has raw edges, please see photos.